Our accompanist is 19 year old Christian Smaditch. 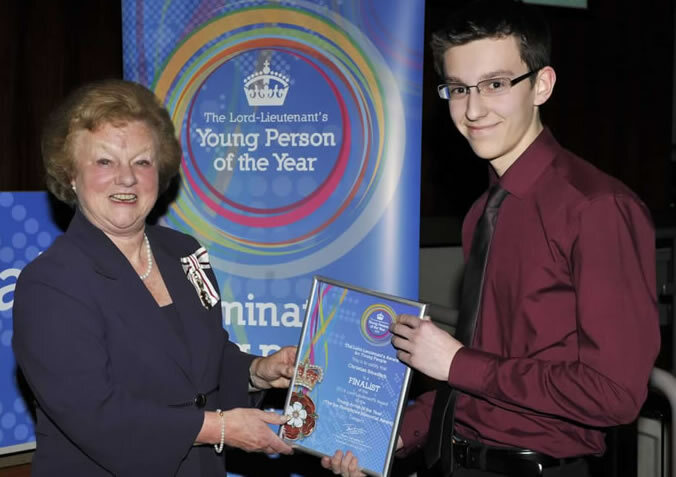 Christian, who is an accomplished piano and French horn player, was the winner of the 2014 Lord-Lieutenant’s Award in the Young Artist Category. It was the inaugural Joe Humphries Memorial Award. 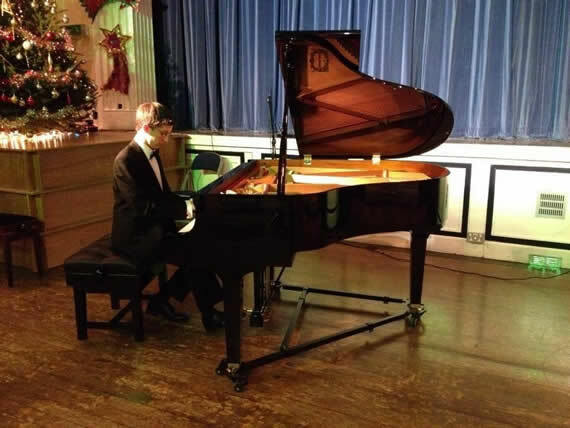 Christian was recognised for his personal achievements, which include passing his Royal Schools of Music Piano Diploma (dipABRSM) at the age of 14, as well as for sharing his love of music with the community through playing at many concerts and public events. He was presented with a certificate, along with a selection of computer equipment by the Lord-Lieutenant, Jennifer, Lady Gretton at an awards ceremony and dinner which took place on Tuesday 8 April 2014 at County Hall in Glenfield. The Lord-Lieutenant’s awards seek to identify and reward the very best achievements in young people aged 13-19 across Leicestershire. Click here to find out more about the awards and how to nominate young people in Leicestershire. Christian is currently studying Natural Sciences at Lancaster University. He continues to be heavily involved in music, both at Lancaster and at home. Christian's big project for Autumn 2015 was to organise a music concert at Leicester Cathedral in aid of his chosen charity 'Joe Humphries Memorial Trust'. This charity seeks to promote research and to raise awareness of Sudden Arrhythmic Death Syndrome (SADS), from which Joe sadly died at the age of 14 in October 2012. For more information on this charity please visit the JHMT website. The concert raised £4000. Many thanks to all the performers.